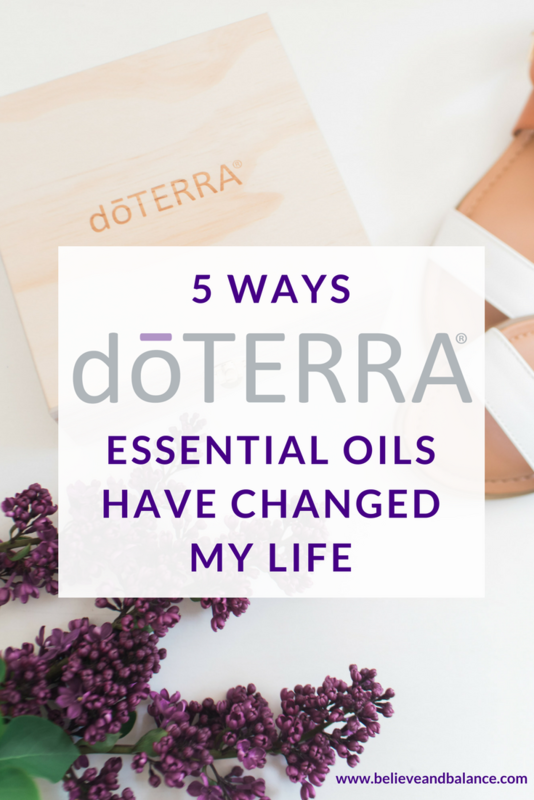 This post contains my opinion on how essential oils have changed my life since I became a dōTERRA Wellness Advocate in July 2017. I was not compensated to create this post and all thoughts & views are my own. I’ll admit this first and foremost… I was skeptical at first. I didn’t think essential oils did anything and I thought that they were just another marketing ploy to get people to sign up for a multi-level marketing scheme. Boy, was I wrong! I feel like I’m more focused on my own self-care. Whenever I feel like I’m about to have a panic attack or if I’m anxious for any reason (especially when I’m on the go), I just pick up one of my rollerballs and rub them over my wrists and my neck for emotional support. If I’m home I plug in that diffuser and let it go until I start to feel better. I would typically head right for the medication my doctor prescribes for me on an as-needed basis, but I have been trying this first instead of taking the medication and it definitely helps. I have a mood booster in my back pocket. I probably carry 3-4 rollerballs with me every single day. As of late, it’s been Motivate, Forgive, Clary Calm by dōTERRA and a Girl Boss Blend by Radiant Transformations, LLC. They are quick and easy to use when I need them and they smell so good! They’re good to use around my apartment. I always like to keep Lemon essential oil on hand to put in my sink or inside the trash bin to make my kitchen smell good. I alternate that with Peppermint if I feel like using that instead. I also plan on using the oils to make healthy cleaning products this spring instead of the store bought ones. It’ll help me save money and it’s better for my health. They totally help my migraines and sinus pressure when I’m not feeling well. Don’t get me wrong, medication and traditional healthcare are needed for serious problems, but when you’re at home with a major migraine, neck pain, and an aura, the last thing you want to do is go to the doctors. Whenever I get migraines, I like to get in the shower with the lights off and I usually put some Peppermint or dōTERRA’s Breathe blend on the bottom of the shower to let the water diffuse it a little bit. I follow that with laying on the couch with an ice pack on the area where it hurts. Also, the Breathe blend also helps my sinus pressure when I diffuse it regularly too! I find myself promoting dōTERRA oils without even knowing it. Since I bring the oils with me to work, I have my co-workers try them when they’re not feeling their best and it’s helped. They start asking me what I use them for, how they help and what they could do for X, Y, Z… My family also asks how they help and I give them my honest opinion every single time. They understand that I do promote them, but I also use them on a regular basis. I really had no idea what I was getting myself into when I decided to enroll as a dōTERRA Wellness Advocate. I was terrified that I was going to screw something up or not be able to “sell.” But, selling isn’t really my strong suit and I’m totally okay admitting that to you. I don’t want to sell the essential oil lifestyle to someone else. I want each person who’s interested in them to be open to trying it and be comfortable introducing something like this into their life. I’ll be real with you… I also thought they were super expensive and couldn’t fathom spending the money on a bigger kit at first so I started small. However, now I know they’re worth every penny and if you tried them, you would too! 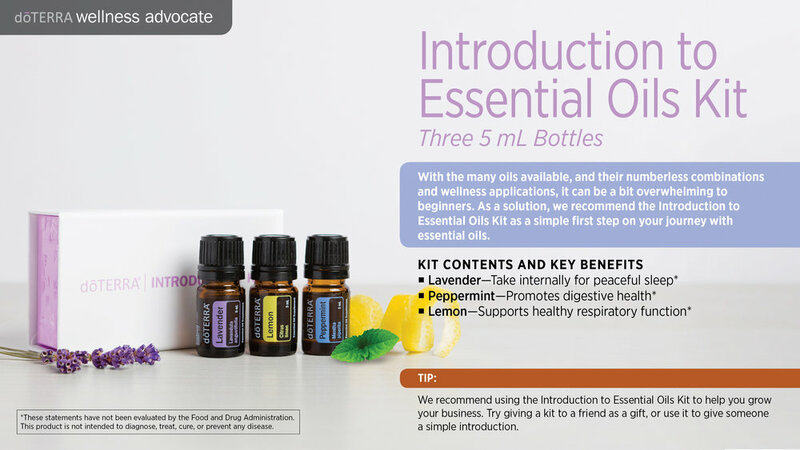 So, if you’re going to start anywhere, I’d start with the dōTERRA Introductory Kit which includes Lavender, Lemon, and Peppermint. If you’re interested in learning how you could become a wellness advocate yourself, click here. Have you tried essential oils? Which ones are your favorites and why? Comment below!